Making and taking advantage of the developing interest for advanced digital printed glass is necessary to building up a solid printed glass preparing line. From making examples of overcoming adversity and wandering into the universe of online networking, to up close and personal gatherings with engineers and printed glass tests, glass processing organizations are improving the way they work together with regards to offering advanced artistic printed glass. 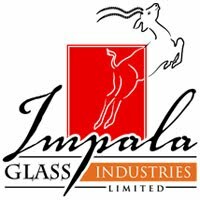 Impala Glass Industries is taking the construction industry by storm, being the only plant in East Africa with a full set up for digitally printed glass which is used in a wide range of areas, offering Optimum and fast Solutions for glass styling for both indoors and Outdoors. Computerized printing has enhanced the quality, amount and determination of symbolism on glass. The brilliance of present day computerized printing by Impala Glass Industries is significantly more enhanced In contrast with silk screened printing from the past days. Based on the client’s desire specifications and preferences, the glass panels are printed in high resolution vivid colors with several colors printed simultaneously. Impala Glass Industries takes clients inclinations and makes its own remarkable prints on the glass. Glass Facades have become a point of interest with ceramic digital printing making it possible to print large-format pictures and graphics by dividing them up into small sections which bring your imagination to life. Facade specialists like to print different types of designs on facades which give a complete finished look. Digital printing options have enabled specialists to blend surroundings with designs imprinted on glass this way, complete building facades can be styled according to your wishes – with logos, pictures vector patterns or ornamentation. Print colors: black, white, green, blue, yellow, red, orange and colors mixed. Simply anything can be imprinted on the glass; however the outlines are advanced independently by the customers at Impala Glass Industries. Appropriate blends of outline parameters which are significant to the place are chosen. Fun Fact, Having Digitally Printed Glass Facades is one way to reduce Bird Collision. Give your building a unique blend of artistic images and architecture. Visit www.impala.co.ke to get more details.